Are you quietly passionate about good wine? 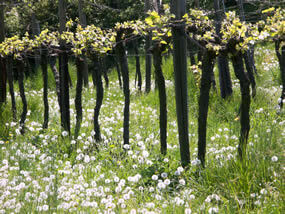 Would you like to know in which region and in what type of soil your favourite wines grow and flourish? Would you like to follow the grape closely from vine to wine cellar, to know HOW and WHERE your favourite wine is produced and above all – WHO is behind it? If the answer is yes, then our Wine Discovery Tours are tailor-made for you. Thanks to our location on the German Wine Route in Rhineland-Palatinate, famous for wine and good cheer, we at PAT - PFALZ AKTIV TOURS have inevitably developed a very special relationship with wine. Our distant ancestors, going right back to the times of the Babylonians, Phoenicians, Greeks and Romans, already knew all about a noble wine’s special effects on body, soul and culture. Wherever good wine and fine food are combined, something very special is created. You can call it quality of life, dolce vita or savoir vivre. And when relaxed and well-fed, you’re receptive to other good things in life, such as wonderful museums or culture in all its forms. Wine is a product of nature and means enjoyment: the excitement of experiencing the aroma in each glass; fascination and the desire to discover new wine-producing areas, producers, vines, types of wine and vintages. As the saying goes, all roads lead to Rome. 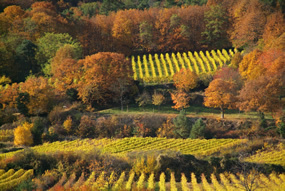 However, we represent a somewhat different philosophy, which states that many Wine Routes lead to wine, art and culture. Wine, travel and the art of living combine in perfect harmony, which we at PAT - PFALZ AKTIV TOURS hope to bring closer to you in the form of our Wine Discovery Tours. Where better to taste wines than in the land of their origins, where the grapes grow and the wines take their flavour from the soil? Where they mature in vats in wine cellars and where they gain their character, thanks to the caring hands of the winegrower and vintner? The world of wine is big and round and offers many points of surprise and interest for you to discover. 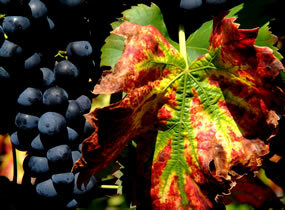 Did you know, for example, that in Cahors, France, an almost black wine is produced from one ancient variety of vine? Or that in the Mosel River region, a vine variety still exists which was first cultivated by the Romans, the Piesporter Goldtröpfchen? That the vineyards in Canada almost reach the Niagara Falls? Or that an excellent Riesling is produced in vineyards in Zimbabwe, which have to be protected from elephants by strong electric fences? Even countries like Luxemburg or Switzerland, which are not exactly the giants of the world of wine, are well worth a visit by wine lovers. Our Wine Tours aim to provide a harmonious combination of wine, travel and the art of living. It goes without saying that we visit the biggest, most famous wine-growing areas in the world. At the same time, we make every effort to introduce you to less famous, or completely unknown or exotic wine-producing areas. Of course, our wine-tasting tours take you to large, well-known cellars and vineyards as well as to small family firms, where some excellent wines are produced with great devotion and equally great expertise, where more attention is often paid to maintaining tradition and more courage shown in introducing changes and new (ecological) methods of cultivation. Our tours are not just limited to wine tasting. It is also our particular intention and our pleasure to offer select local cuisine. 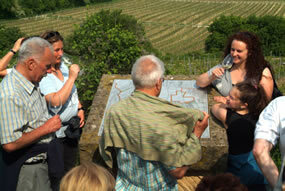 Good wine and gourmet cuisine form the “second dimension” of our tours, so to speak. The “third dimension” is provided by satisfying the thirst for knowledge, though we take care never to become too dry or academic. Wine is the product of a culture, deeply rooted in the region, the people and their history and traditions, affecting them and being affected by them. These circumstances and their particular “wine history” are the focus of our tours. Where does the charm of a vineyard lie? In the chance to taste and enjoy wine, of course! And the best way to do this is in the natural Palatinate style, in a convivial atmosphere with friendly companions and time to enjoy. Experience our style of wine-drinking, in a casual setting, relaxed and dedicated only to the wine and the land of its origins. For your information: in almost every wine growing area, you can buy wine directly from the producer and arrange for it to be sent directly to your home address, subject to customs duty, if applicable, and transport costs. “Life is too short to drink bad wine”. In this spirit, we would like to help you share our enthusiasm for the variety of wines in the heart of Europe and in the rest of the world. We wish you much enjoyment and pure delight as you discover the historical and cultural treasures revealed on our tours. Come and join us on a journey to the world of wine. We look forward to welcoming you!